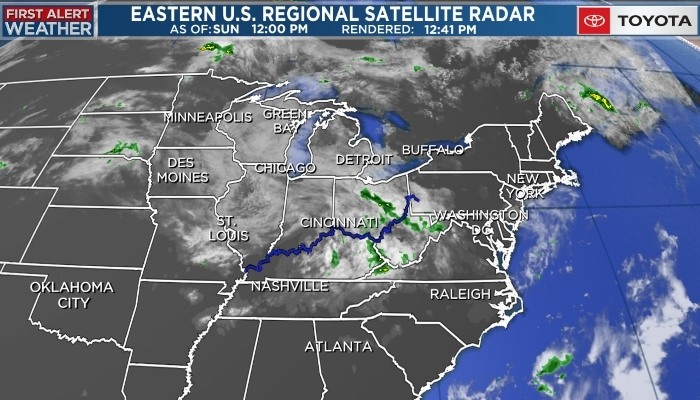 CINCINNATI, OH (FOX19) - Expect a mix of sun and clouds this afternoon as temperatures reach 77 degrees. A front will approach the area late Thursday and that will bring us our next chance of rain Thursday into Friday. We could even see some thunderstorms. While our best chance is in the afternoon, we could see some scattered rain or thunder early in the morning with a midday break before afternoon redevelopment. The high temperature Thursday will be in the upper 70s. We will rebound into the upper 60s with sunshine for your Easter Sunday and that continue to warm into early next week. Temperatures fall into the 40s with off/on rain.